Come join us for the best Maccabi games themed camp in town! Our coaches are handpicked for their sporting and teaching expertise and are here to ensure that your child has the best camp experience possible. Coaches provide instruction on a wide range of sports, while challenging campers through scrimmages and games. Sports include basketball, soccer, baseball, flag football, lacrosse, floor hockey, and more –it’s an athlete’s dream camp! Campers are also introduced to a variety of world sports, including rugby, cricket, team handball, and more. 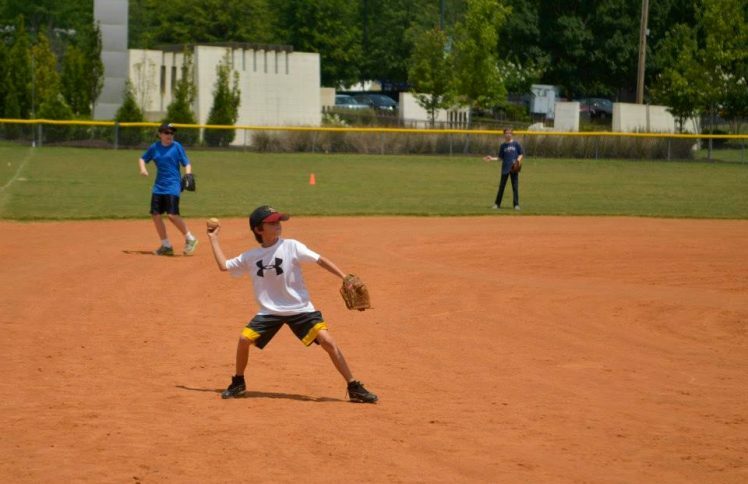 In addition to our wide array of sports offerings, our ‘Thought for Sport’ core character values program provides campers with sports tips and lessons on key character values such as responsibility, respect, self-discipline, and sportsmanship all supported by a Judaic quote or reference. Each afternoon, campers join an Olympic-style team and represent their adopted country as they earn points through various sports games and learning activities. We finish out each week with all campers participating in a Finals Day and everyone has a chance to win medals.